NOTE: This is a Standalone Book and does not include Access code. 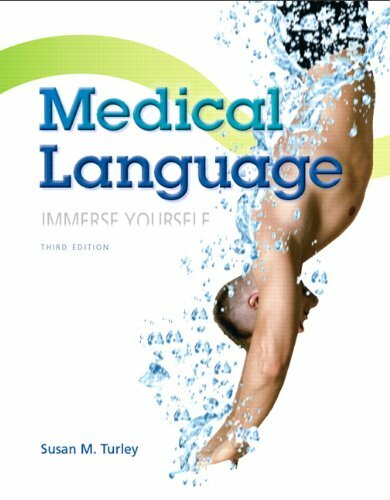 Now in its Third Edition, Medical Language has touched the lives of more people than any other medical terminology book. This intensely visual, powerfully relevant book is organized to promote exceptionally effective instruction and maximum student success. Fully updated to cover the field’s newest terminology, this edition retains a deep focus on word building, and enhances teaching and learning in many ways -- including a state-of-the-art immersive online study experience. Its appealing, uncluttered design contains hundreds of rich images and plenty of white space for easy reading and note taking. Student learning is promoted through an unsurpassed quantity and variety of exercises, more colorful, interesting, and large illustrations, and – as requested by most instructors – an intuitive organization around medical specialties. In addition to content updates throughout, this edition is complemented by a brand new set of Dynamic Lectures: comprehensive audio/visual learning experiences narrated by the author.